In this way we commit ourselves to weave the knots that connect the local to the global, to revitalize the centers of ancestral thought and knowledge, the centers of the action and knowledge of women, to revitalize ancestral communication, music, songs, dances, rituals and sacred ceremonies of the peoples, the ceremonial lunar and solar celebrations, and the recovery and purification of the sacred sites. We commit to working with sources of energy to re-establish balance and restore natural order. This is a call from our hearts to the hearts of all those who feel this collective conscience of caring for and protecting our common home. 1. To the social and political organizations: so that they can listen to this message and realize that the wisdom of our ancient peoples is the solution to heal the illness that our Mother Earth is experiencing. 2. 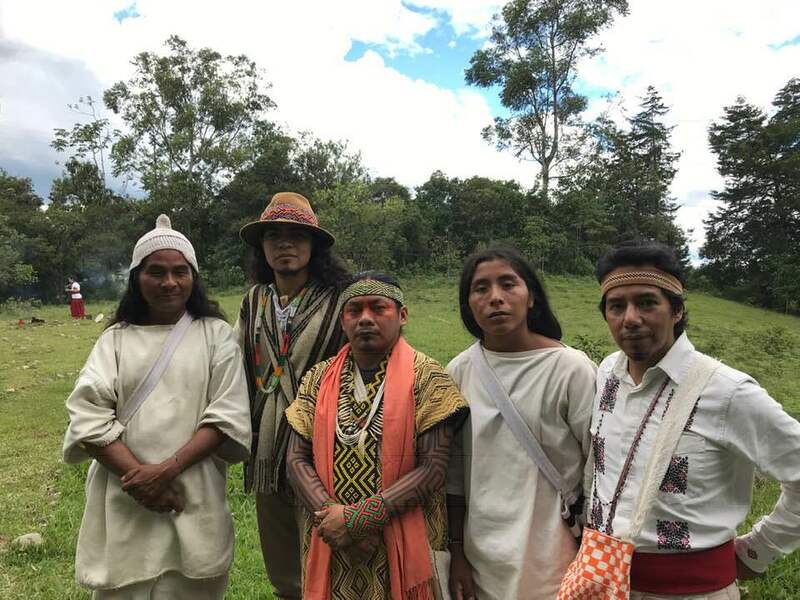 To governments: to recognize and value the wisdom, knowledge, science and ancestral spiritual authority that has maintained the integrity of indigenous territories. 3. To the United Nations: to support the endorsement of the rights of Mother Earth. The new dawn ushers in unity, happiness, peace and harmony and the continuation of the spiral of life. We call on all Indigenous Peoples to do translate this document in their native languages. Visit ICCS website here for more information on The Gathering and other participating guests. Copyright ©2019 Center for Earth Ethics.// A Nutt Labs website.